As other Microsoft Office programs, PowerPoint provides strong keyboard shortcuts for creating presentations. Note: We have a separate page for PowerPoint slideshow keyboard shortcuts. To move between commands, press the Tab key or Shift+Tab. You move forward or backward through the commands in order. You can also press the arrow keys. If the selected command is a list (such as the Font list), to open the list, press the Down Arrow key. Then, to move between items, press the arrow keys. When the item you want is selected, press Enter. If the selected command is a gallery, to select the command, press the Spacebar or Enter. Then, tab through the items. Move to the next title or body text placeholder. If it is the last placeholder on a slide, this action inserts a new slide with the same slide layout as the original slide. Use the Insert Comment command (Alt+N then L) to open the Comments Pane before using these keyboard shortcuts. For more information about assigning custom keyboard shortcuts to menu items, recorded macros, and Visual Basic for Applications etc., hit the source link below. Microsoft PowerPoint is a presentation program first created by Robert Gaskins and Dennis Austin. PowerPoint was first released in April 1987 for Macintosh computers only. In their first significant acquisition, Microsoft bought PowerPoint for $14 million three months after it appeared. 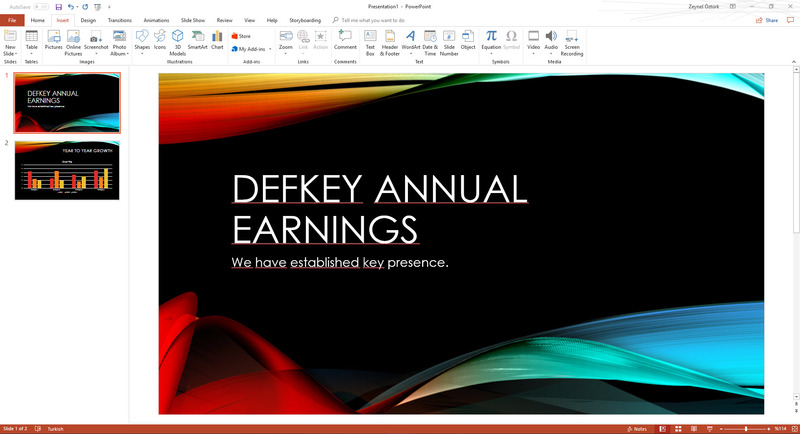 What is your favorite Microsoft PowerPoint (Creating presentations) hotkey? Do you have any useful tips for program? Let other users know below.